While Citigroup still has some distance to travel before it wins over investor confidence, at least it is moving in the right direction. The bank earned $4.29 billion, or $1.35 a share, on revenue of $18.69 billion in the third quarter. Excluding accounting adjustments and the businesses in run-off mode, that works out to around $1.31 a share. Analysts were expecting just $1.28 in earnings. Granted, the expectations bar had been set extremely low for Citi, as concerns about emerging-market economies and the interest-rate environment arose. At the end of August, the analyst consensus was for the bank to earn $1.37 a share. 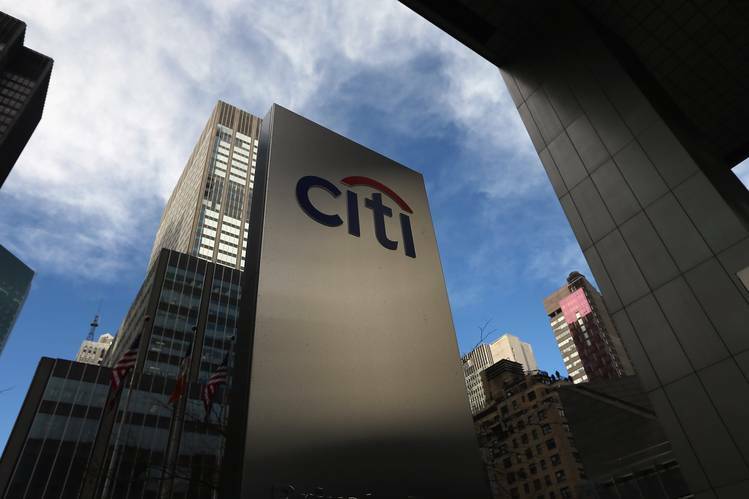 More important, Citi managed for the third consecutive quarter to avoid any of the significant missteps, unexpected expenses and scandals that have too often marred previous results. As well, the major repositioning charges the bank took as it reshaped its global business now seem behind it. Given Citi is ostensibly the most internationally focused big U.S. bank, resiliency in the face of global economic turmoil is reassuring. Net credit losses declined both in absolute terms and as a percentage of the bank’s total loans. Even international consumer lending held up, with loan delinquencies and charge-offs declining in Latin America and Asia. International consumer-banking revenue rose 2% from the prior year, although profit fell by a percentage point due to regulatory expenses and technology spending. 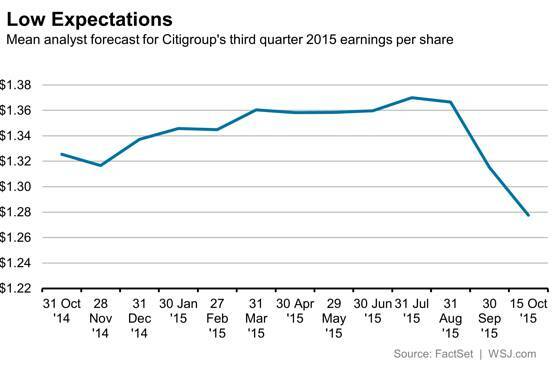 For all the good news, however, Citi is still destroying shareholder value by not earning its cost of capital. The bank reported a return on equity of 8% for the quarter. That is down from earlier this year; it posted an above-9% return in the first and second quarters. While return on assets at 0.94% meets chief Michael Corbat’s target of above 0.9%, this also declined from earlier in the year. Improving profitability will be challenging. Interest rates aren’t likely to go up much in the near term, so net interest margins aren’t likely to climb significantly. And with an overhead ratio in the mid-50s, down from the mid-60s a year ago, the bank is now one of the most efficient of the big U.S. banks. It will be tough for Citi to press harder on this lever. With the stock still well below book value, the bank has to show it can do far better on several fronts. Weathering a volatile market—highlighted by Goldman Sachs’s announcement Wednesday that its fixed-income trading revenue fell by nearly a third from the prior year—is one way of doing so.